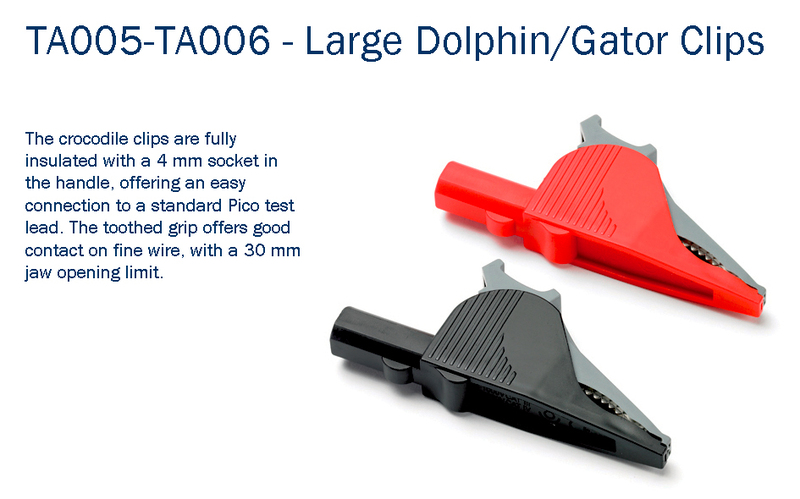 $10.00 The dolphin clips are fully insulated with a 4 mm socket in the handle, offering an easy connection to the TA000 test lead. 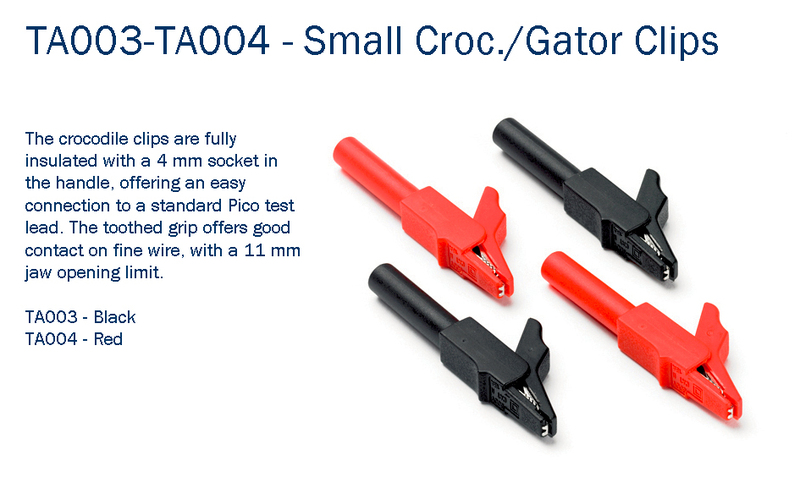 $2.75 The crocodile clips are fully insulated with a 4 mm socket in the handle, offering an easy connection to the TA000 test lead. 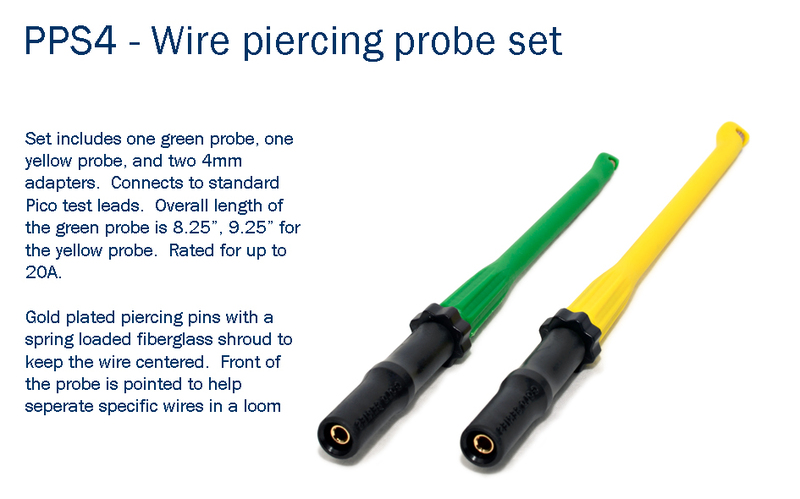 $25.00 Self centering wire piercing probe set with two female-female banana adapters. $47.85 Essential for probing today’s small, fragile connector. 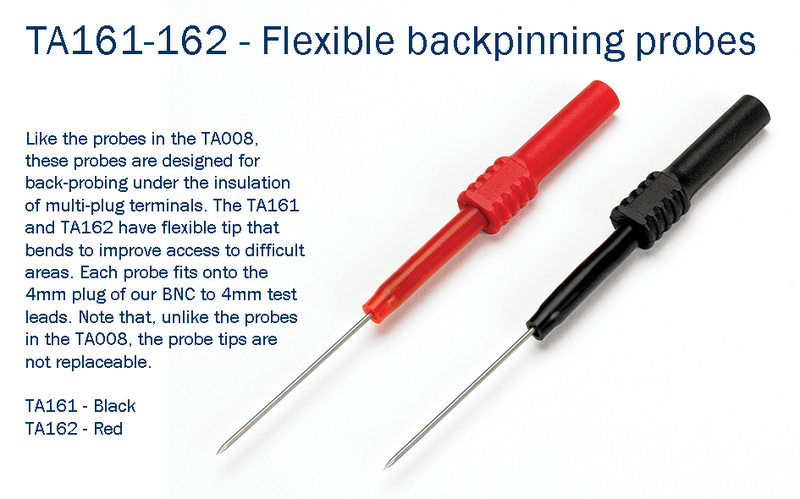 $4.25 Like the probes in the TA008, these probes are designed for back-probing under the insulation of multi-plug terminals. 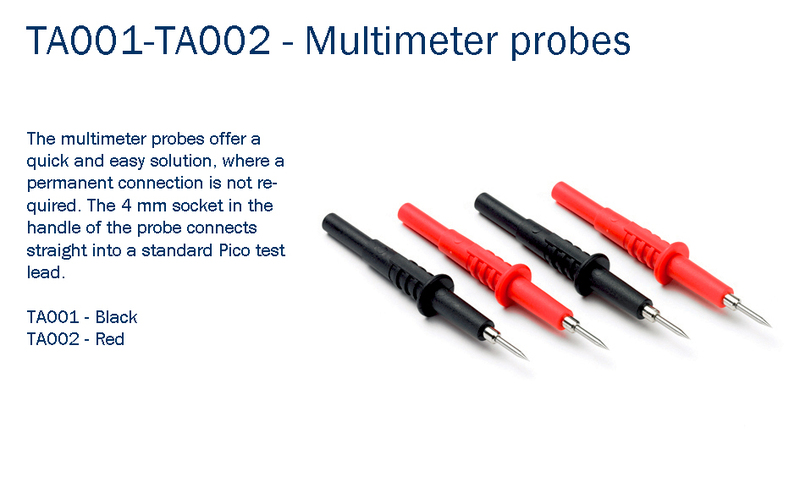 $6.60 The multimeter probes offer a quick and easy solution, where a permanent connection is not required. 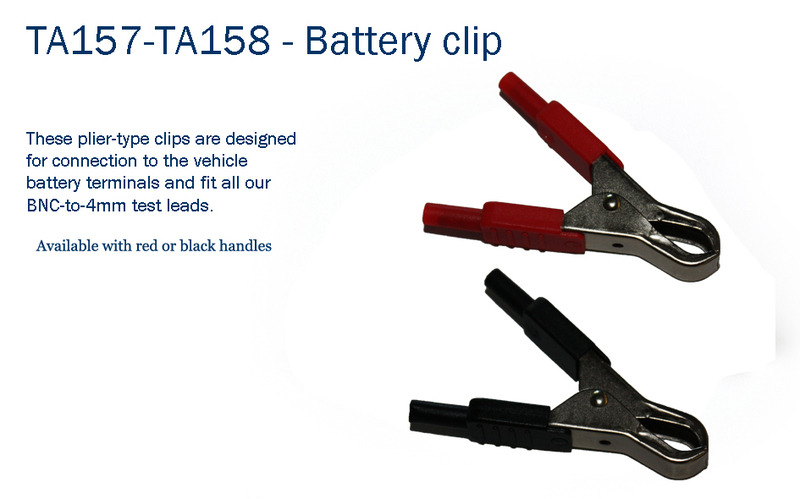 $2.75 These plier-type clips are designed for connection to the vehicle battery terminals and fit all our BNC-to-4mm test leads. $6.60 These breakout leads enable voltage readings to be taken from the numerous pin sensors and actuators in the engine compartment. 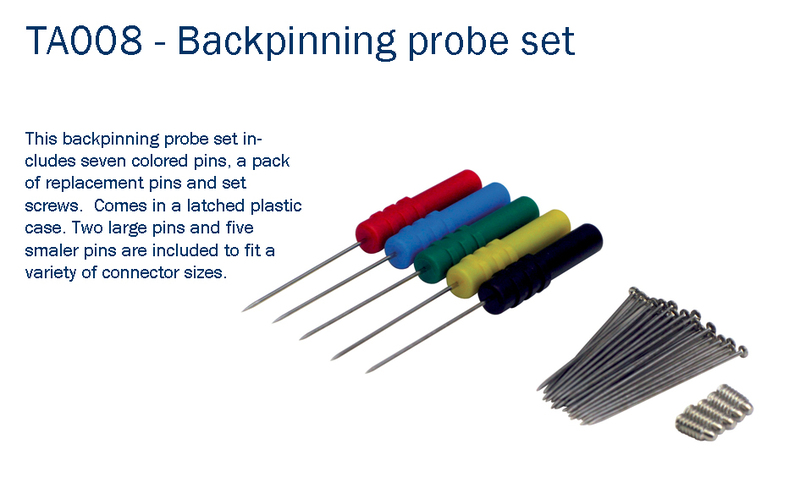 $6.60 These probes feature a shrouded 4 mm socket and allow you to hook your test lead on to small components. 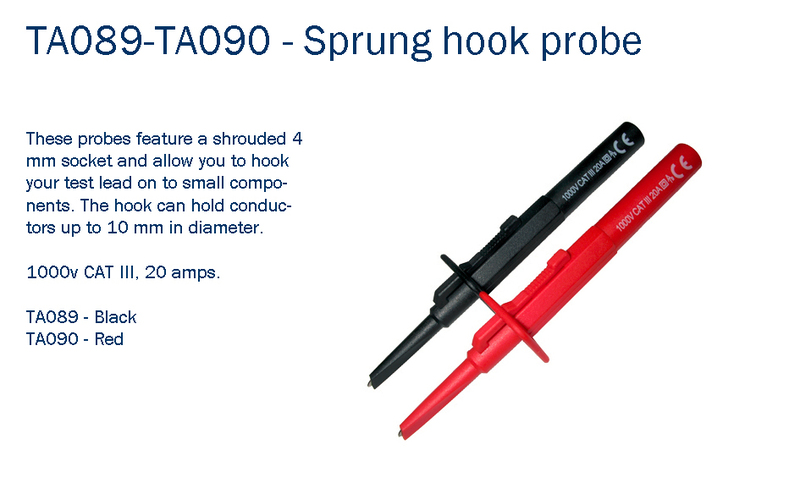 The hook can hold conductors up to 10 mm in diameter. 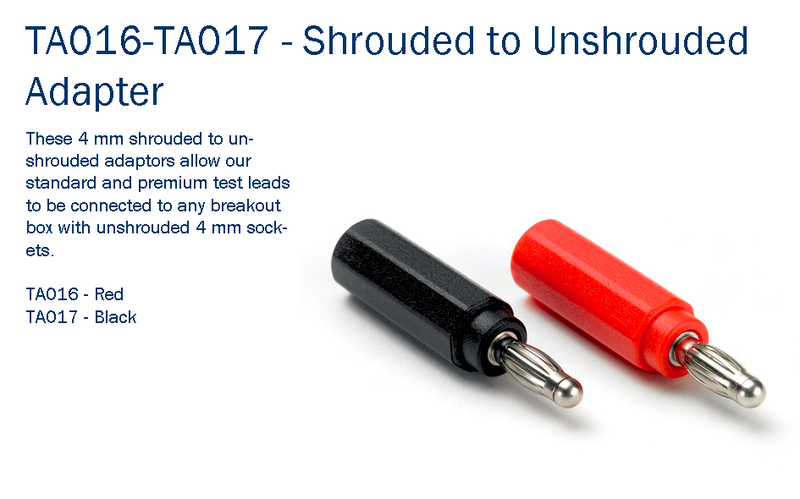 $3.30 These 4 mm shrouded to unshrouded adaptors allow our standard and premium test leads to be connected to any breakout box with unshrouded 4 mm sockets. 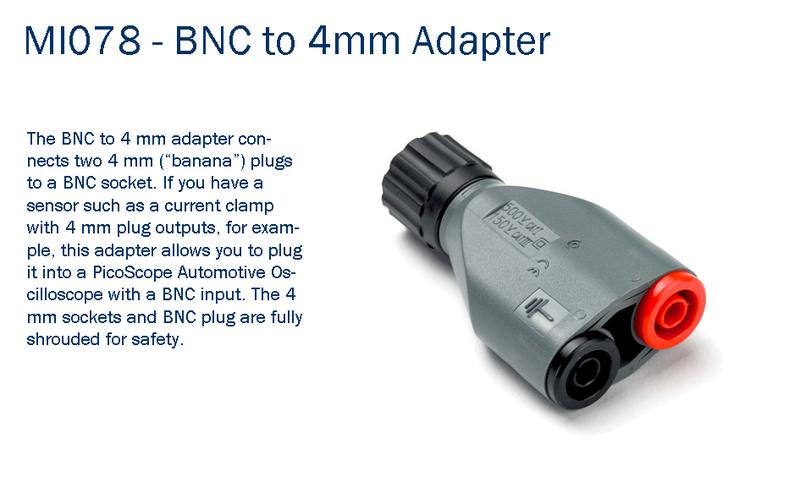 $19.80 The BNC to 4 mm adapter connects two 4 mm (“banana”) plugs to a BNC socket. 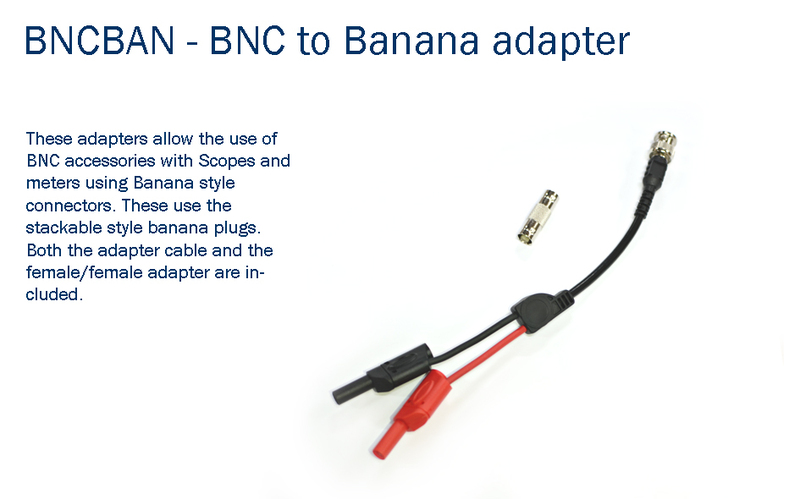 $22.50 These adapters allow the use of BNC accessories with Scopes and meters using Banana style connectors.